CANAMID launch meeting was held at University Rafael Landívar in Guatemala City in October 16and 17 2014.It consisted of a two day meeting involving 50 participants from across government, NGOs and academia in Honduras, Guatemala and El Salvador, besides 16 members of the CANAMID Project Theme coordinators and country representatives). 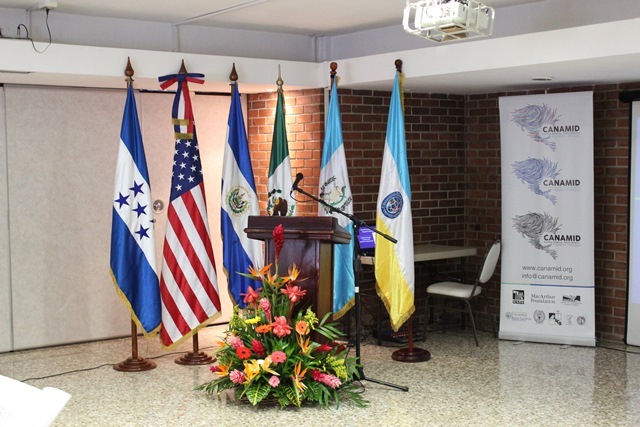 The aim was to present the project objectives and planned deliverables while gather key problems in Central American migration from the standpoint of different stakeholders. The second part of the meeting involved all Project theme área coordinators to agree common practices and come up with a list of potential policy briefs and suggested authors.